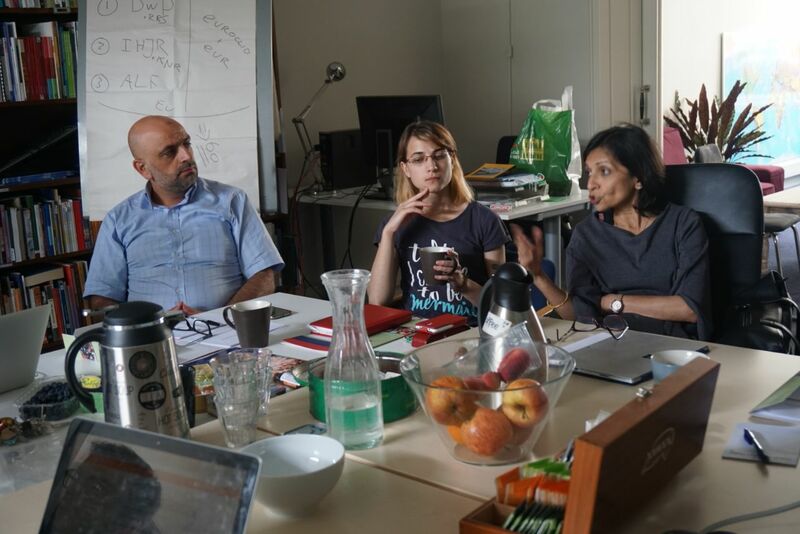 Last week (12-15 July), members of the global core team of the Dealing with the Past in History Education project met in The Hague to discuss how to support educators in addressing difficult histories in a constructive manner. Over the past year the team members, who come from Ukraine, Bosnia and Herzegovina, India, Lebanon, Colombia, Cyprus and the United States, have conducted several study visits. During these study visits, the team interviewed students, educators, NGO representatives and government officials in Colombia, South Africa and Croatia. The meeting in the Hague at the EUROCLIO Secretariat was a platform for the team to highlight their insights into their study visits – reporting back on how educators in Colombia, South Africa and Croatia address their difficult or sensitive histories, what can be learnt, and how the results of the study visit can be used to the benefit of history education. In the coming weeks, the results of these study visits will be made available. Check the project page for more info about the project, and stay tuned for the upcoming results of these study visits! What do teachers have to say on debating controversial subjects in the classroom?